Medium length 2 inch jewelry tassels, with matching color binding around the neck. Length does vary and some are longer than others. You can fit your own ring or cord through the top to make into jewelry. These tassels are hand crafted for our shop by artisans in India. 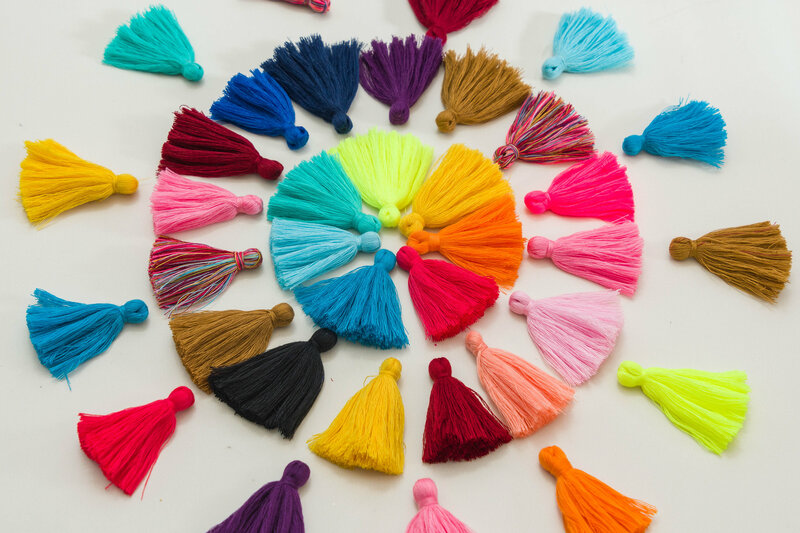 Please note shades of color may vary on different computer screens, neon colors are brighter in real life and length is approximate, you can cut the tassel down to any length you need and trim any loose ends. These handcrafted quality tassels are also available with gold binding, if you wish to mix and match just let us know.